The TLD crew faced challenges up in the Bay area but they fought valiantly to stay in the hunt. At the end of the night the entire team raced at the front of the pack in the final and went home with good points. 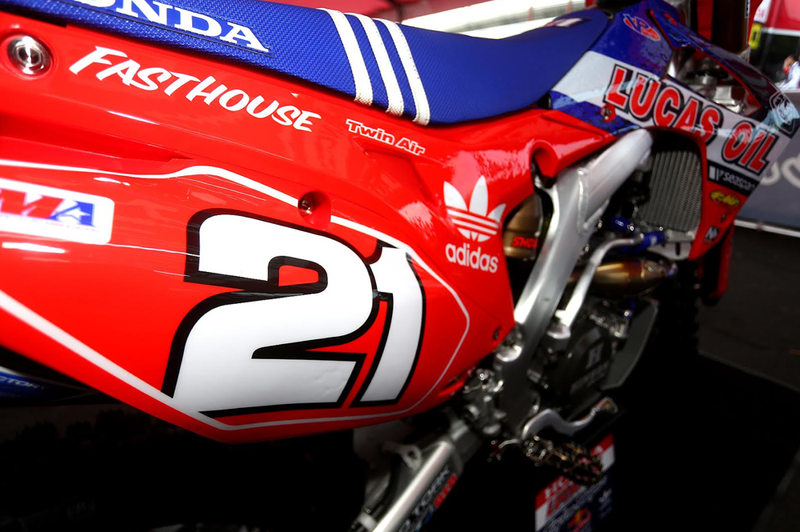 Cole Seely was having trouble getting into a rhythm all day. The rutted, sticky dirt in Oakland was challenging and it definitely made it tough for Cole. 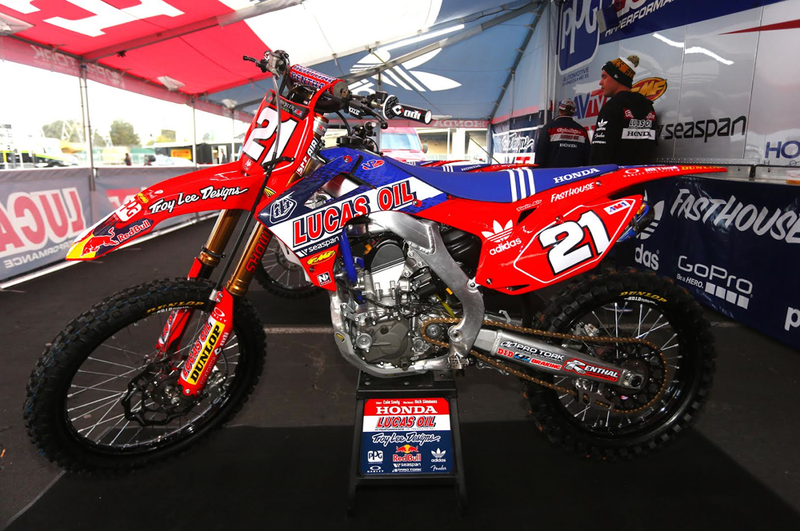 Still, Seely rode his Lucas Oil Honda to second in his heat race and earned a good gate pick for the main. Jessy Nelson rode great in his heat and finished fourth, a good indicator that he had the speed to run up front. 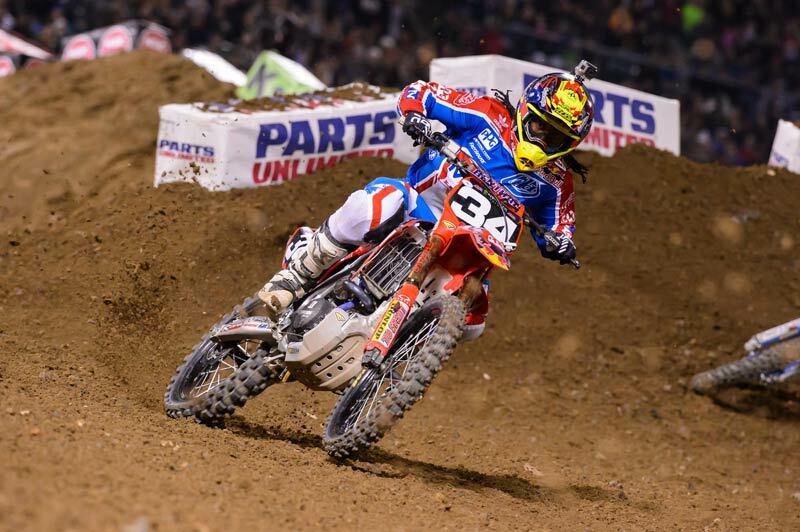 In the main event, Seely rounded turn one in fifth position and looked good to have another run at the win. It wasn't meant to be, however, as Cole would lose touch with the leaders and spend the main a distant fourth, where he would finish. He lost some ground in the championship points chase but is still very much in the hunt. Nelson once again didn't get the start he needed and he spent the entire fifteen laps scrapping his way forward. Jessy would be rewarded with an eighth place for his efforts. The Mav TV riders both miss-timed the gate drop in their heat races and had to work their way through the pack. They did well, climbing to fourth and sixth place to qualify themselves into the show. In the main event, Malcolm Stewart came out of the start in sixth and immediately began going forward. While running fifth behind Seely, another rider dove inside of Malcolm and took both of them to the ground. It was a very frustrating situation for Stewart as he had a good ride going. Stewart would not finish the race as the contact damaged his bike, making it unrideable. 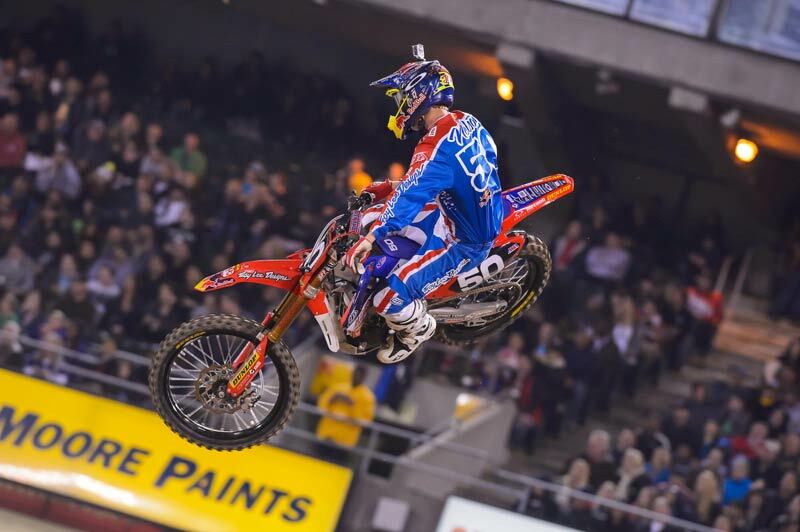 Rookie rider Shane McElrath overcame a mediocre start to finish eighth at the end of the night. Another top ten for the young rider shows that he is learning the importance of consistency in supercross racing. After all the knocks and bumps and bruises of the night the team still came away with some good finishes and good points. The TLD squad will head back to their home base in Corona, California this week and prepare to launch an assault on Angel Stadium this weekend for the third round at Anaheim. Be sure to cheer on the guys as they fight for podium spots this Saturday night.